In the USA, if your a F1 fan you are very limited to live race data. Speedvision covers most of the races with several being broadcasted by FOX. There is a lot of jealously for all the options given to the friends across the pond in the UK, which are locked out from US viewers. 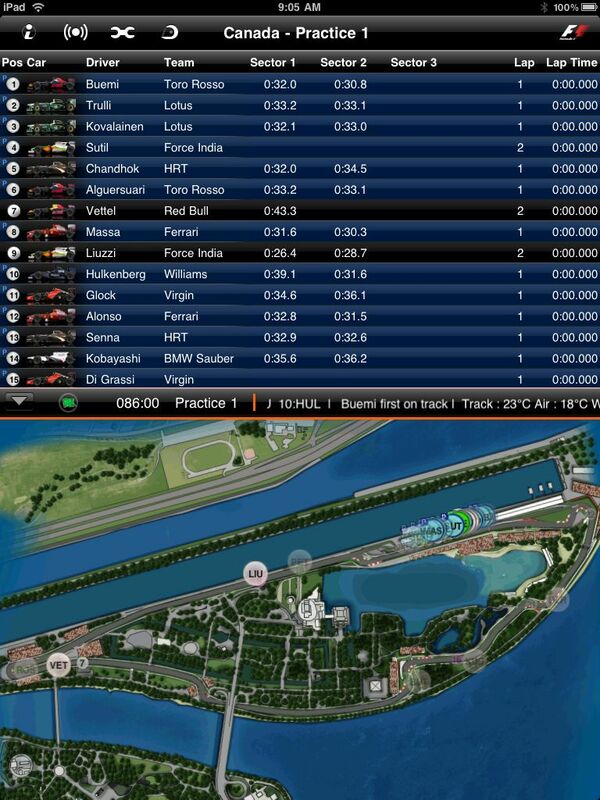 So, when the app F1 2010 Timing – Champion Pass hit the iPad, there was a lot of excitement around the office. It brought both live and recorded Timing and Standings along with a moving car view of the track right to our iPads. Viewable anywhere and anytime so our lunch times started to move a bit to watch practice live that we normally missed due to lack of TV coverage. The cost of this Universal app includes the streaming of live events, data and historical downloads for the full 2010 season. You can have the big view of all the details on your iPad and a slightly different arrangement to the data on your iPhone so you can stay up to date… on the go. In this case, we are looking initially at a time between races so there is no live action to view. Going into the settings area, it is possible to go to a previous event – practices, qualifying and the event. 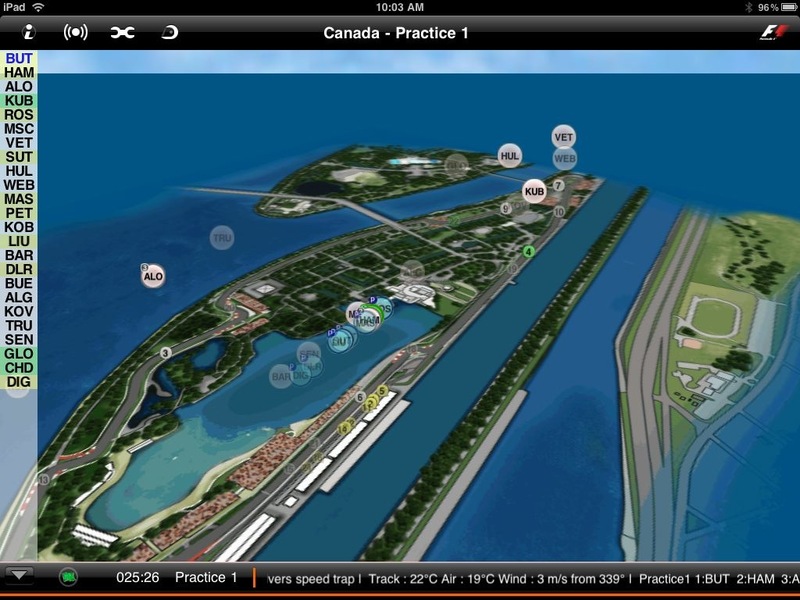 Choosing one of the previous events downloads it to your iPad for full length viewing of the action on the track. Along with pop up commentary and order and lap data. 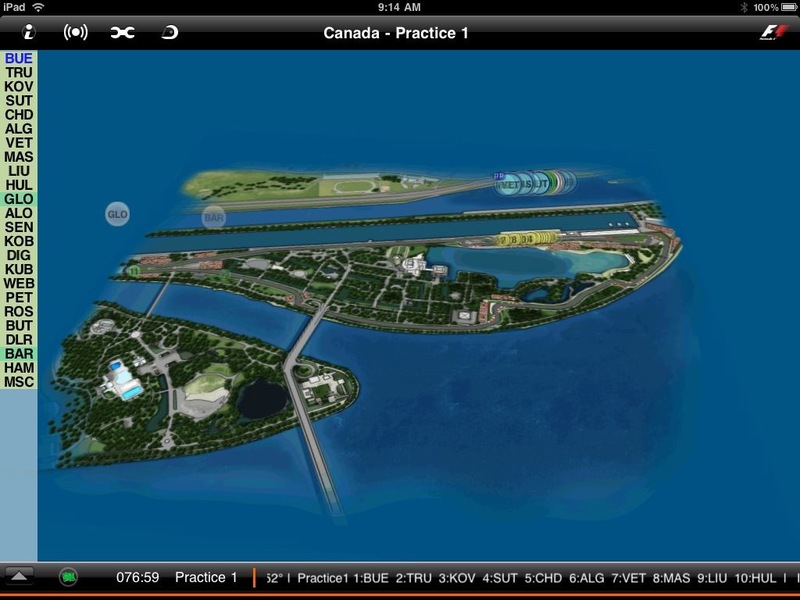 Latest news and track lap timing are two additional views that are accessible at anytime. While watching any event via the F1 Timing App, you are able to see the location of all of the F1 cars on the track, moving about in real time. 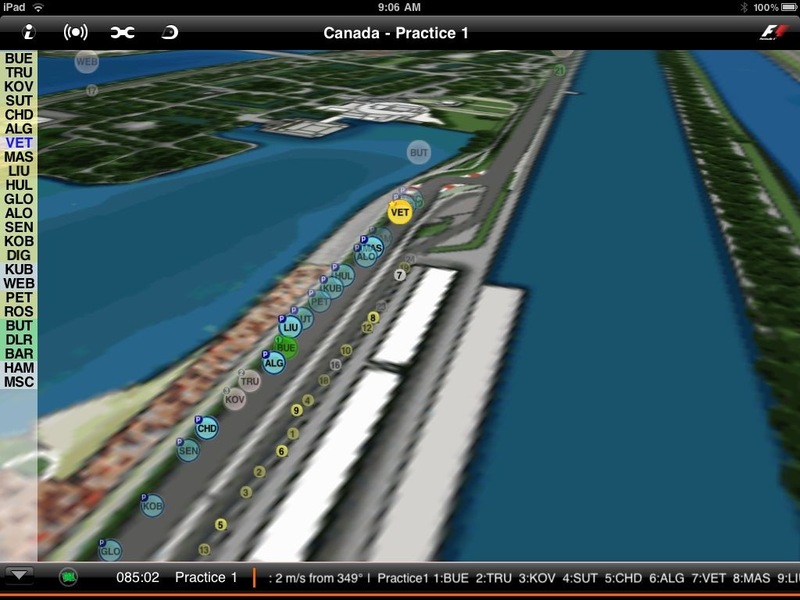 The track view can be turned, zoomed in to and tipped for a high overhead or low down to watch the car ‘dots’ whiz by. Rolling data and pop up commentary is available anytime the track is being viewed. 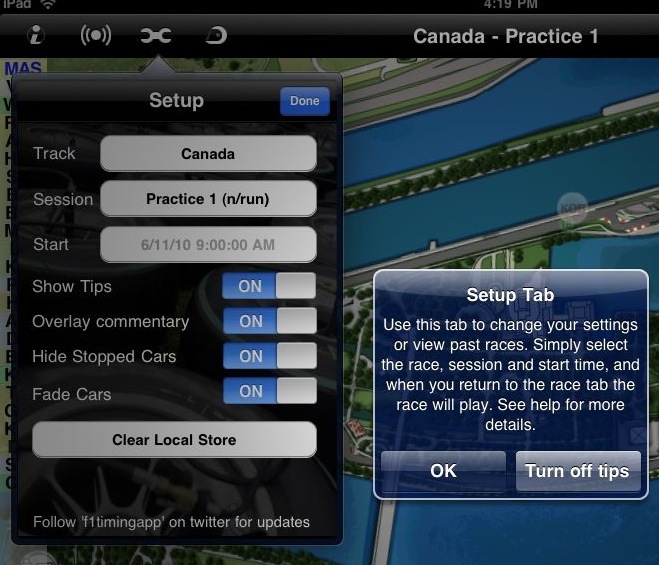 When in landscape, the track is at full screen with the car order small against the side as a default. 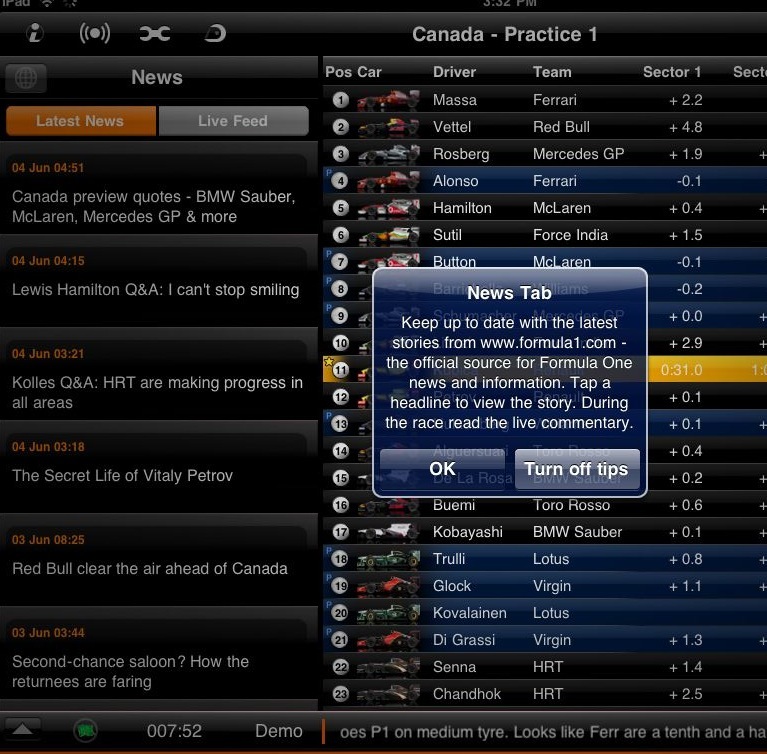 News and car lap times are optional views to share the screen with the on track car view. 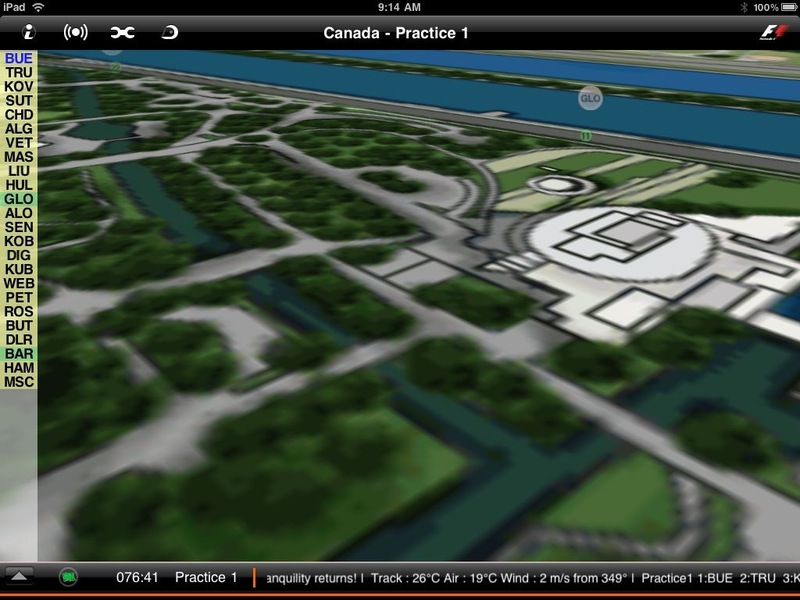 In portrait, the track is in the lower part of the view with driver/car/timing at the top half of the screen. 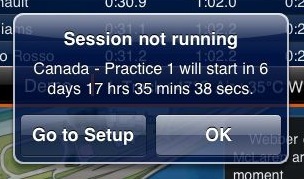 The driver/car/timing can be expanded to take up the whole screen when looking for a car running lower in the order. Choosing a live practice on Friday, we knew particulars that were never mentioned on the TV coverage. The cars are in the pits below, ready to take the track. The decision on whether $32 is too much to spend on an iPad app will have to be yours… for us, real time data for our F1 fans puts us in a very happy place.